The Embodied Labs VR-enabled immersive learning system gives you access to a growing library of VR experience labs which simulate key issues facing seniors and their professional and family caregivers. See how it works! 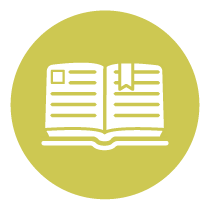 The Embodied Labs immersive learning system gives you access to a growing library of virtual experience labs that simulate key problems and situations facing older adults and their caregivers. View the world through the perspectives of your clients, patients, parents, community members, or residents and see how immersive learning can improve the ways in which you provide care. Why use Embodied Labs VR training? Read about how our research in a university-led pilot study affected career interest, empathy, communication skills, and learning through The Alfred Lab. What is the Embodied Labs Learning Framework? Prepare to embody your patient by taking a pre-assessment and discover your existing knowledge by answering questions from the Embodied Labs facilitation guide. 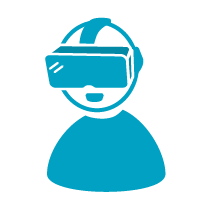 Embody your resident by using a VR-ready laptop to log on to Embodied Labs’ application and by putting on a VR headset. (See recommended list of VR hardware). Reflect on how the VR experiences changed your views, mindset, and knowledge about living with a particular disease, pathology, or condition. Contact us and find out if Embodied Labs fits your training and educational needs.